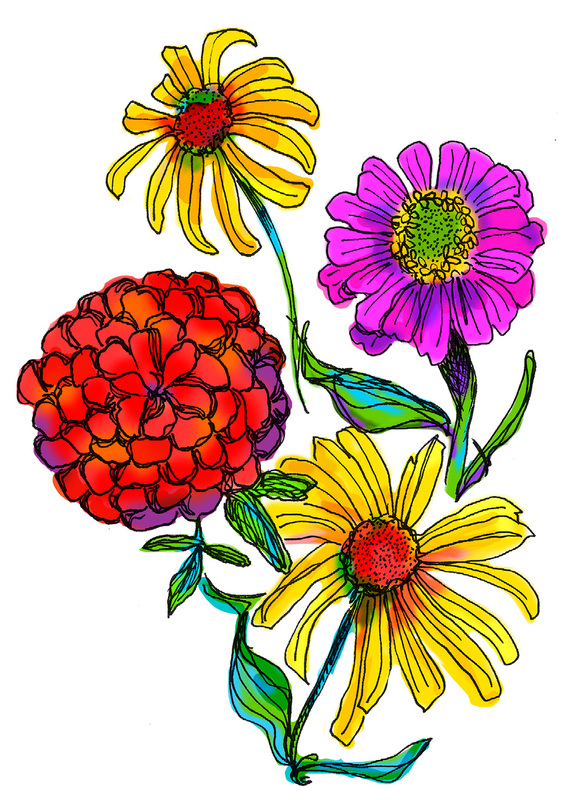 I drew these flowers on some scrap paper … not watercolor paper. So I decided to paint them in Photoshop. LOVE your flowers however you paint them!